List Rules Vote for the best Wakefield movie quotes! Wakefield movie quotes help tell the story portrayed in the film about a man who hides from his family in his home's attic for several months. The drama movie was directed by Robin Swicord using a screenplay she adapted from the book of the same name by E. L. Doctorow. Wakefield opened theatrically in the United States on May 19, 2017. 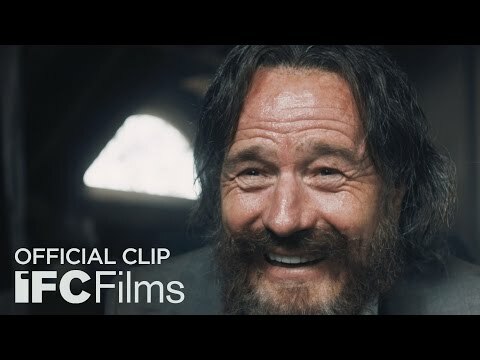 In Wakefield, Howard Wakefield (Bryan Cranston) has a great life. He's successful in his career, has a nice suburban home and a loving family, including wife Diana (Jennifer Garner). But the monotony and blandness of his life gets to him, so one day Howard vanishes. Diana and others begin to search for Howard but they fail to look in the once place where he's been hiding the whole time, the attic above the family home's garage. Howard remains in the attic for several months, leaving only at night to shower and scavenge for food. The time away allows him not only to surveil the lives his family members are leading, but also get to know himself and who he truly is. Wakefield was just one of several great May 2017 films along with Everything, Everything, Diary of a Wimpy Kid: The Long Haul, Alien: Covenant, and Paris Can Wait. Howard: I never left my family. I left myself. Unshackled, I will become the Howard Wakefield I was meant to be. Reflecting on his choice to hide from his family, Howard feels that he didn't leave his family, rather left himself. As he explains in this Wakefield movie quote, this move was to find himself again. Howard: Suburban life, so much is the same, week after week. Who hasn't had the impulse to put their life on hold for a moment, just vanish completely? Howard reflects on his typical suburban life in this Wakefield movie quote. Sure he has a great job, family and home, but he still years to just leave it all. Howard: Oh my god, Ben Jacobs. Oh, yes, yes, yes, here we go. Coffee and cookies, come on in. He's going to need some whitener for his coffee, Diane. 'Uh, you don't have any soy milk do you?' Of course she's got soy milk. She's got everything. Please, Ben, please tell her about your tragic lactose intolerance, all the bloating and flatulence. Ah, aha, a little pro bono work on behalf of the firm. How nice of you. 'I'm impressed with my attorney, Bernie. I'm impressed with his influential friends. He's got very big connections and I follow his directions.' You know, I never used to sing. I think that's worth noting. In this Wakefield movie quote, Howard imagines what wife Diana is saying to her old boyfriend, Ben Jacobs, as he comes over to visit. While he puts Ben down, this monologue also points out that Howard has changed. How Far Am I Willing to Let This Go? Howard: How far am I willing to let this go? As Howard watches his family and friends gather in his home while he's a missing person in this Wakefield movie quote, he wonders just how far he should let his ruse go. He imagines surprising them all during the party, but ultimately decides against it.